Are you thinking of running a social media competition? Competitions run on Facebook, Twitter and Instagram are still competitions which need to have Terms and Conditions. Snag this template to get you started. 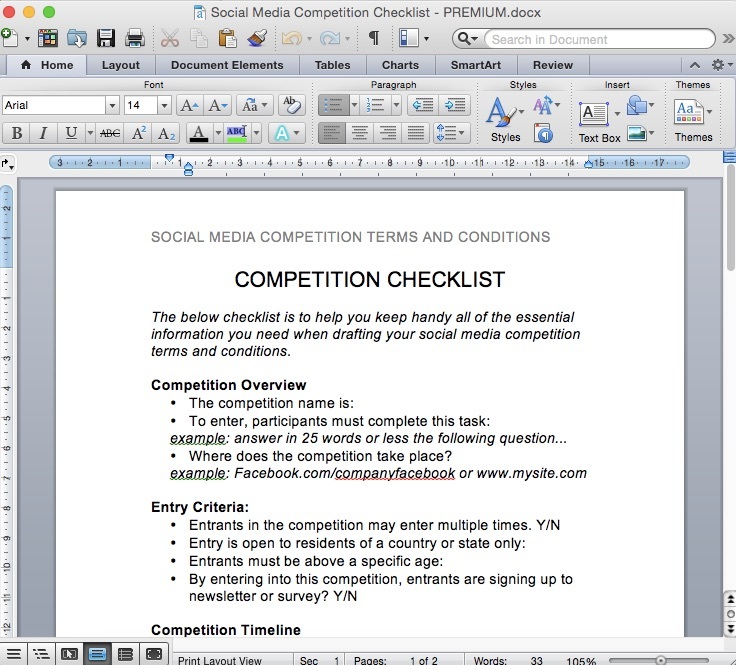 Social media competitions need Terms And Conditions. 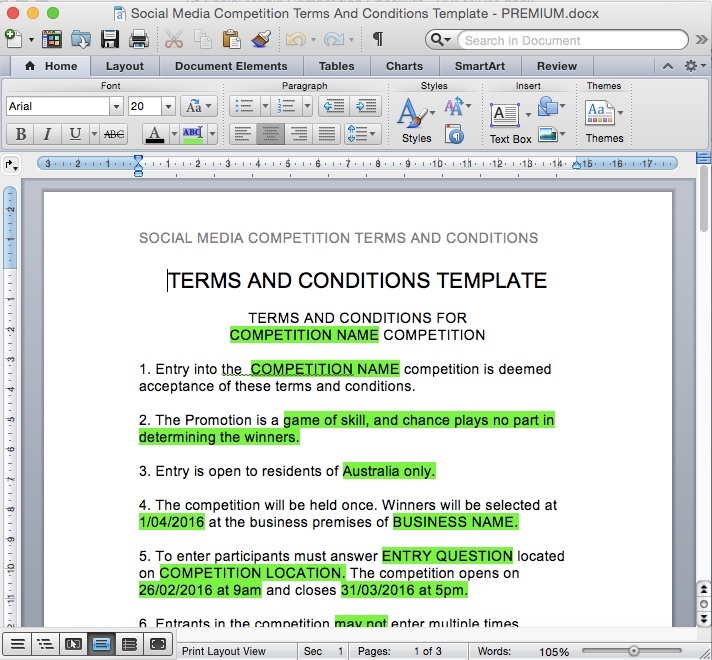 This template is a Word document that you can download and update the highlighted yellow fields with your competition details. As a bonus, you also download a competition planning checklist to accompany the terms and conditions document, so you can ensure you’ve got all key competition elements planned out before you draft your terms and conditions. For a full-scale preview of this tool, please click here and here to see screenshots. 2 x Word document downloads. Please note: I am not a legal expert and take no responsibility for the legality of this document in your state or country. We recommend chatting with your local friendly lawyer if you have legal questions.